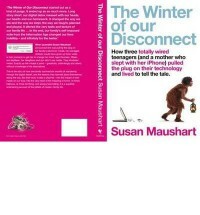 Interesting story of a mother and her three teenagers who pull the plug on technology! I learned a new word: Thaasophobia, the fear of boredom.... another disease I have, lol! It is hard to get bored with all the technology we have today, but turning it all off = thaasophobia! According to Thoreau, "our inventions are wont to be pretty things which distract our attention from serious things."